Our quality is outstanding....as it should be for your special day! 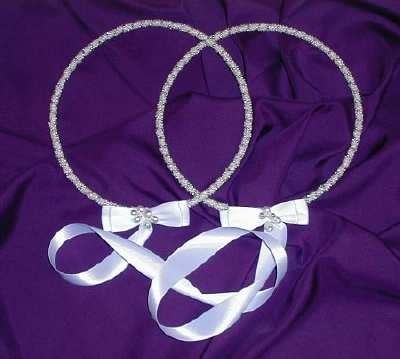 The style featured here is Stefana #S-S. Our stefana are connected with the finest quality satin ribbon. Click on "Wedding Crowns" from the left margin to view additional styles.